$35.99 & FREE Shipping on orders over $59 $35. 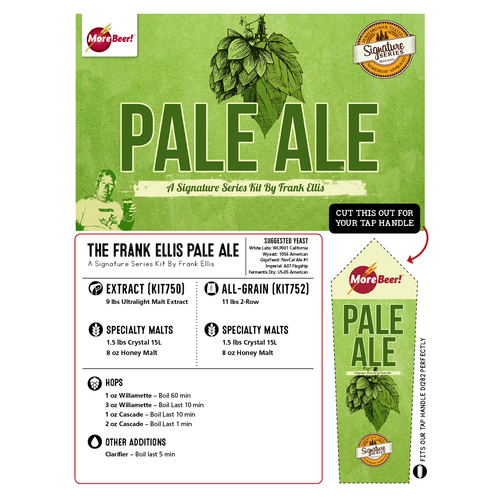 The legendary Frank Ellis, Grandfather of our Signature Series Kits, brings you his over the top Pale Ale with an amazing 7 oz of hops and 9 lbs of malt extract. It has the malt, alcohol and hoppiness of an IPA but the bitterness of a Pale Ale. 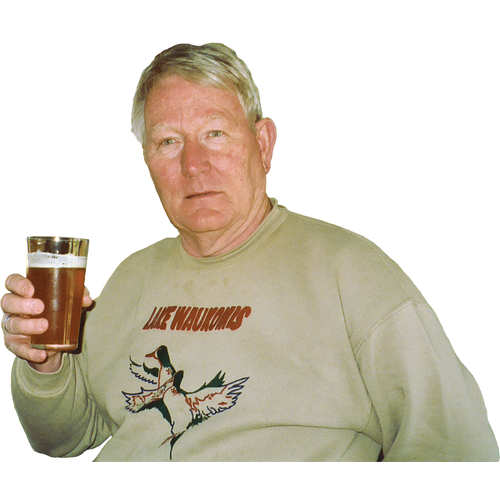 Frank started with our American Pale Ale II, KIT250 – but this wasn’t enough flavor for Frank. 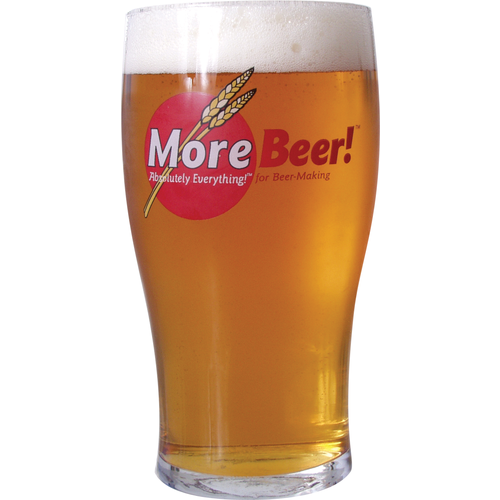 So he added one pound of malt extract, more finish hops, followed by... yet more finish hops! 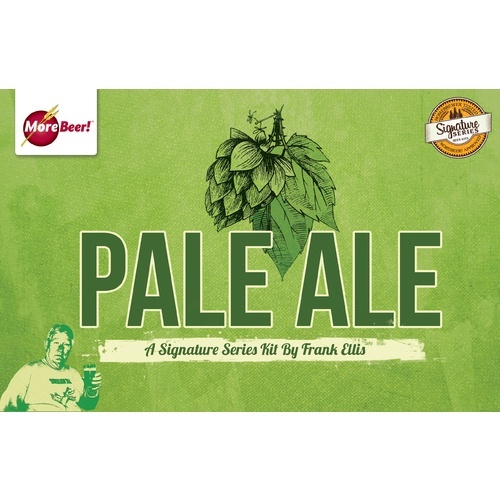 The resulting flavor is malty with plenty of hop flavor, courtesy of the copious amounts of Cascade and Willamette hops. One day while on the phone placing an order with us, Frank got tired of having to make these additions to our existing KIT250 so he asked why he couldn’t have his own kit to cut down on confusion. He was absolutely right! So the series was born! When you are drinking any of the Signature Series recipes, raise your glass and give a virtual cheers to fellow homebrewer Frank Ellis in Missouri for the good idea. Frank has brewed his own kit an amazing 62 times over the last decade! Frank recommends using White Labs California yeast, WLP001 or Wyeast American, WY1056.